When architect James H. Ritchie designed a Craftsman residence for himself in 1912, he chose to include many of the latest features and technologies available at the time. Later, the home was purchased by another architect who maintained many original details but renovated the kitchen. The homes new owners, a professional couple that recently moved from San Francisco, saw that the home was in dire need of updates. DESIGN CHALLENGES. The client's active lifestyle balances both family and work time in the home, and they wanted to raise their children in a healthy home environment. 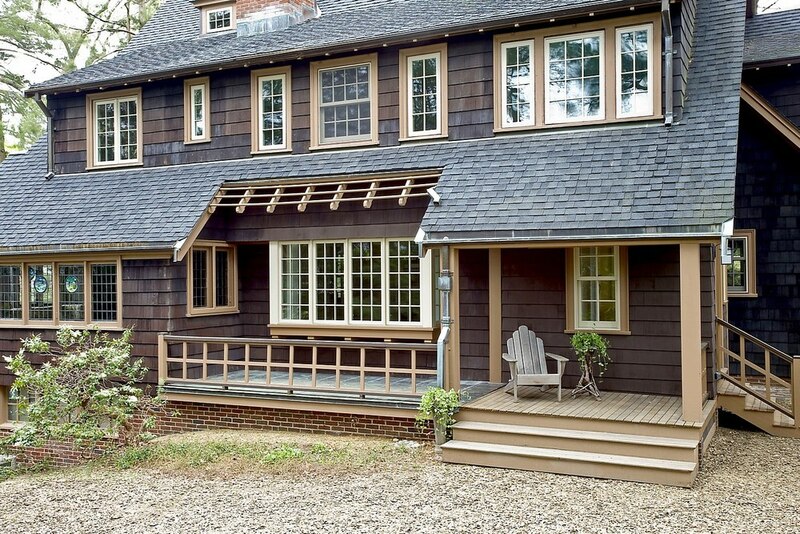 The client sought to update the home to support their modern lifestyle and values, yet wanted to maintain all the charm and warmth of the original Craftsman style. Though the home's kitchen layout was already well designed and could remain relatively intact, the rest of the home was in poor shape. Program-wise, it lacked any up to date bathrooms, was missing a children's play area, and needed a modern mudroom. Further, the home needed a general update, as evidenced by the ancient tube and knob wiring still in use, single pane windows, 1960's-era boiler, asbestos insulation, and numerous other issues. PROGRAM UPDATES. All of the existing bathrooms are completely renovated, including new plumbing fixtures, tile work, lighting, and accessories. 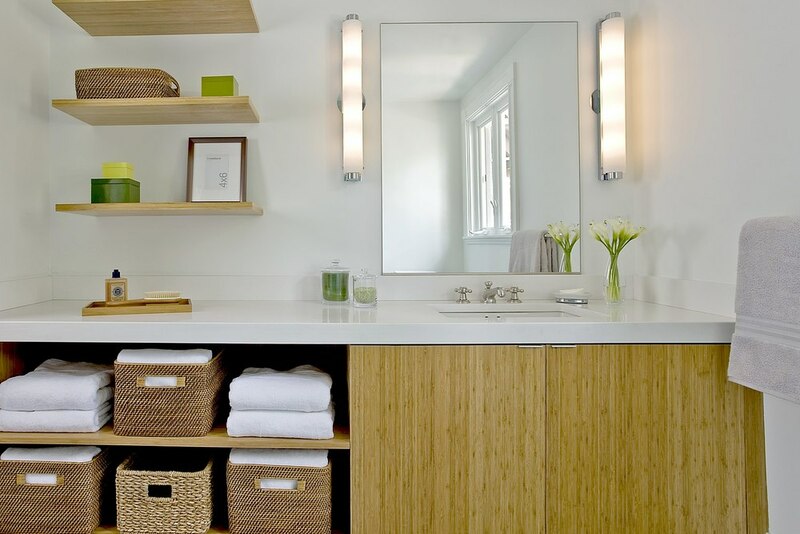 The new master bathroom follows suit with a sleek modern look, while the children's and Au Pair's bathrooms feature a modern interpretation of classic Craftsman style. A new half bathroom is installed in the first floor addition, which also includes a new mudroom. ENERGY PERFORMANCE UPDATES. ZED designed updates for the building envelope and mechanical systems. Thermal photography and blower door tests were used to track before/after comparisons. Thermal envelope improvements include adding foam insulation in existing walls, insulating the foundation, replacing existing windows with energy-star windows, and replacing the heating and cooling system.